Symbian OS is now officially dead according to Nokia. In a recent statement, Nokia confirmed that the 808 PureView was the last device to have Symbian OS in it. The above statement made by Nokia confirms all the rumors that started to gloom for more than a year that the PureView would be the last Symbian device. Recent Nokia earning reports released, shows that the number of Symbian devices sold in Q4, 2012 was 2.2 million which is half as many as the Nokia Lumia Widows powered Phone units sold, that is 4.4 million. Symbian was introduced in 1998 and was a result of joint effort between Nokia, Ericsson, Motorolla and Psion in order to create a user friendly platform that will be used on all the devices from all the four manufacturers. Symbian OS was at peak when Nokia Launched N Series multimedia devices and E Series Business devices. 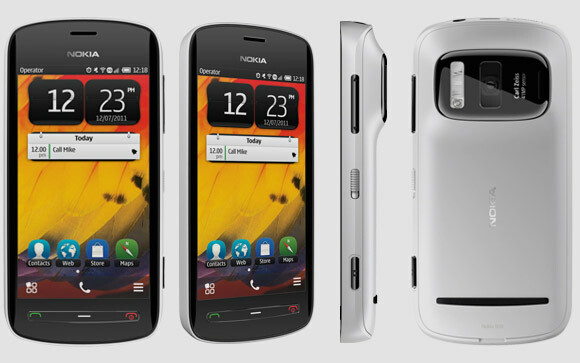 The whole world went crazy on the N Series with N73 to be the most successful model in the N Series. One of the major reasons why Symbian lost its reputation is the launch of many other great Operating Systems like the Apple iOS and the Google Android which were more user friendly and had much more capabilities than it. Symbian finally started to lose its place when Nokia announced partnership with Microsoft and declared to make Windows Based Phones in order to compete with already emerging companies like Apple, Google, Samsung and HTC. Nokia even tried to save it by making it open source but in this act, the market share for Symbian started to drop slowly. Nokia kept updating the Symbian OS by releasing different Series like the S40, S60 but it didn’t give any excellent result. Following is a list of all the Smybian OS that are release since its launch. Symbian OS decline was also blamed on the big sales crash for Nokia in China. The company lost a record 69% net sales to Apple there. “On a year-on-year basis, the decrease in Greater China net sales was primarily due to our Smart Devices business unit, most notably lower net sales of our Symbian devices,” Nokia said. Even after the announcement of the death of Symbian OS, we can never forget what it gave us at the start of the 21st century when mobile phone technology was at very early stage and it helped a lot it developing and emerging it.